The ATM card is part of the cashless policy and it has made life more easier for our students,friends and family members here in nigeria and even abroad. 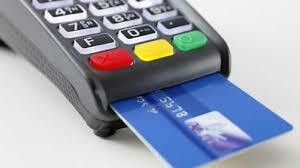 The verve card is the new interswitch debit card now with the chip and pin. 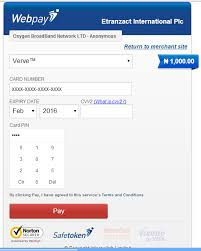 Verve is the new name of the more secure and convenient Interswitch card which with the introduction of chip and PIN makes transactions safer and with Quickteller services, adds convenience to everyday life. Verve is used by all banks in the world except for those that are not into the new development of the cashless policy and with this verve you can send and receive payment in your comfort zone. Verve debit card is the one linked to your savings or current account by your bank and you must go through some process before creating an account to ensure that you are upto the age of creating a bank account but today we still have kids account but it has little disadvantages. First visit any bank branch to request for a Verve Card. Immediately you get your verve card, activate it by changing the PIN at the ATM or you can meet the ATM office of your bank to help you out. After activated, you can start using it for your transactions but you cannot use it to make payments online. You need to register the Verve card for Interswitch Safetoken Service. Interswitch Safetoken Service is a system that generates a 6-8 digit One-Time-Password (OTP) whenever a transaction is initiated via the Interswitch Web Payment Platform. Registering for the Safetoken enables you carry out transactions on any web merchant site that has integrated the Interswitch Payment gateway using a One Time Password (OTP) as a second level authentication process in addition to your Card Number, PIN and CVV2 code. For you to be able generate OTP for your Verve card whenever you are carrying out a transaction with it, you will first have to register it for the safetoken service. Follow the final step below and make sure you are using an ATM to perform this. Now you will then get a confirmation page indicating the registration was successful. And try to wait for 1hour so that this process will be fully activated. Now if you make any payment online with your verve card and you get to a stage where you are prompted to enter an OTP, you will get the OTP via text message on your mobile phone which you will use to complete your online transaction. Zealmat this is fabulous, I will try it out on my new Verve card. Is it only for Verve?